Members of the Knack team from left: CTO David Stoker, CMO Shawn Doyle, CEO Samyr Qureshi, Community Austin Doyle, and CPO Dennis Hansen. 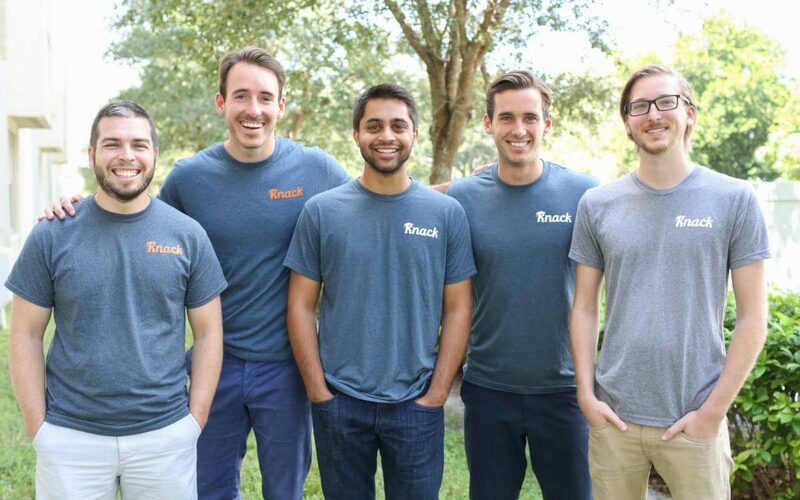 Former Gator Hatchery company Knack, a tutoring app for college students, recently raised $1.5 million from Charles Hudson’s Precursor Ventures and Tampa Bay Lighting owner and Fenway Sports Group Partner, Jeff Vinik. Read more about Knack’s success and where it’s going next from TechCrunch.